Navigating on-campus elevators can be a risky business. It seems like just about everyone has a life or death story on one of these elevators. Whether it’s a rickety elevator in a freshman dorm or the already creepy stacks, sometimes it’s better to just take the stairs. Unless you’re feeling especially brave, these are some of the elevators on campus that you should definitely avoid. The worst on-campus elevator is definitely the one across from the laundry room in McElwain. For one, the button doesn’t always light up when you push it. Often, you have to push it multiple times and stand around for a few minutes before it finally arrives. I also got briefly stuck in it when I lived there over the summer. One time it even took me to the third floor when I wanted to go to the second. The Pattee Stacks are known for their unfortunately creepy aura and the elevator there is of no exception. While antiquity in libraries is cool and chic, antiquity in elevators is downright horrifying. The Pattee Stacks’ elevator, which appears to have remained unchanged since the library’s construction, probably earns the status of the most exciting elevator on campus. Riders are often left wondering whether the rickety thing will suddenly collapse around them or remove a limb when they’re trying to enter or exit. Life is worth living, so when in the Stacks, take the stairs instead. During my spring semester sophomore year, I was taking an astronomy class to fulfill an easy gen ed credit. This class had an assignment to head to the Davey Lab to observe the moon. While listening to Drake (an important factor that will later come into play), I headed onto the main elevator and pushed the button for the top floor. After reaching the floor I needed, I realized the elevator doors were not opening. I panicked, texted my friends I was going to die, and then hit the ground floor out of desperation. Luckily, the elevator descended, and once I hit the ground floor, the doors opened. Intent on completing my moon assignment, I decided to run up the six flights. Once on the correct floor, I walked up to study the elevator, and it was then that I realized the doors opened from the back instead of the front. So, in my Drake-induced haze, I had never heard the doors open behind me and a bunch of students who were also there for the moon assignment had watched me panic in the elevator. The elevator in my freshman dorm was highly suspect, and one of my friends was unfortunate enough to get stuck on it one day. It felt like it would break down every time you rode it, so only a lucky few have lived in the building without facing its wrath. It was such a problem that one of my floormates got into a fist fight with it. The elevator in Geary Hall would violently shake on the way up and open before you actually reached your floor, which was terrifying. One was always “under repair” one day and then fine the next day. I would always wonder, “Did someone get stuck? Did it crash to the bottom?” I never got an answer. Also, I think all of the elevators in East have this feature, but people in my building used to ring the bell in the elevator ALL THE DAMN TIME. 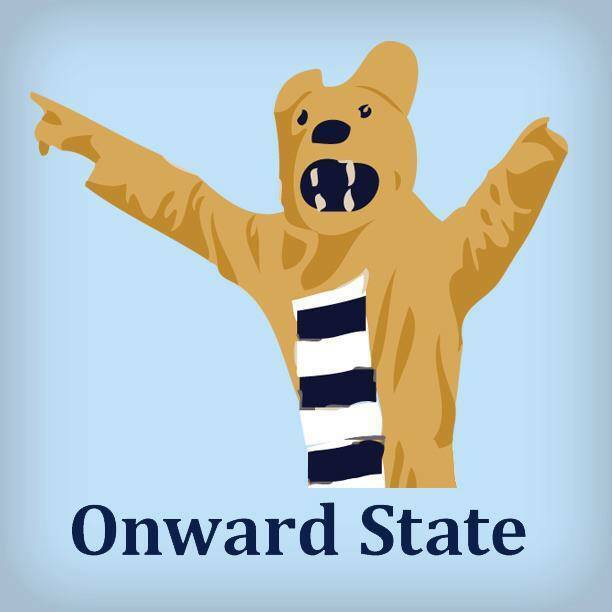 Posts from the all-student staff of Onward State. Celebrate the best weekend of the spring semester with our official Blue-White drinking game.